About a year ago I was stretched out on my couch, TV remote in hand, clicking through the channels – way past the point of holding out hope that anything remotely worthwhile would emerge shimmering from the flatscreen. I was, I suppose, mistaken. A documentary called Finding Vivian Maier started up somewhere in one of the channels in the one-thousand-eight-hundred-something range. It was done by a New York artist named John Maloof. He was doing a book on the past years of the Big Apple and was haunting estate sales for photographs of a historical nature. He bought a box of some sort, hauled it home, and discovered it was full of both photographs and hundreds of rolls of undeveloped film. They were urban street scenes – but done with an impeccable eye and amazing composition. They were as good as the best professional work – but were a complete mystery. Who had taken these? How did they end up in this box? Why were they so good? So Maloof started going through his box, finding scraps of paper with names and addresses that gave him his first clues as to who the photographer was and what the story behind them was. That story turned out to be as amazing as the shots themselves. 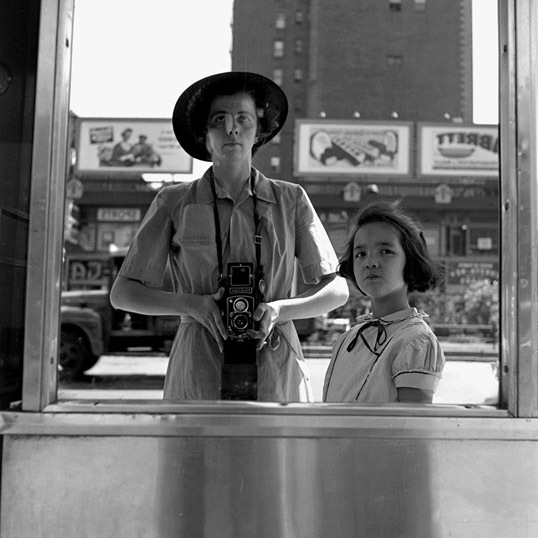 The photographer was a woman named Vivian Maier (though she used a number of different spellings of her name). Some details of her life are still a bit fuzzy – but she took these photos while she worked as a nanny. She would walk around the city with the children, taking photos. She did this for years and years. The filmmaker tracked down some of these kids, now grown, and interviews them about the odd woman that used to babysit them, and drag them all over the place with her trusty Rolleiflex. I watched the biography several times and talked about it to my friends. Everybody that saw it found it as fascinating as I did. 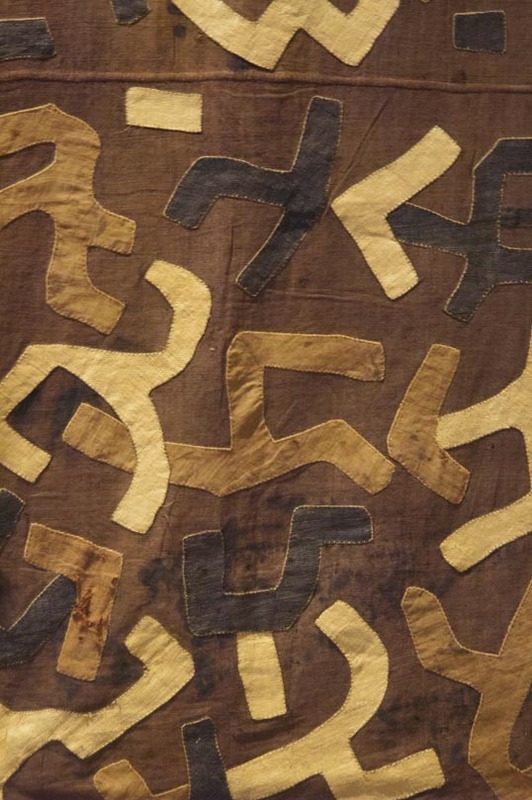 Of course, I searched for her work on this inter-web-thing – finding one amazing image after another. Then, earlier this summer, I was driving to work, listening to a local radio station in my car – when a woman came on to announce the art happenings in the Dallas-Fort Worth Metroplex. 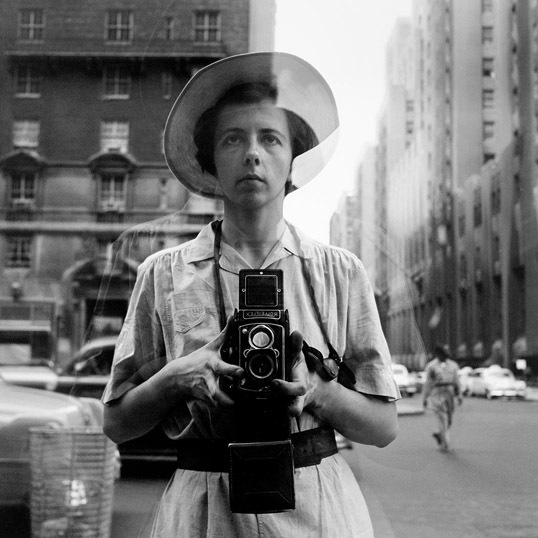 She said, “And opening today, at the Arlington Museum of Art, is the show “Vivian Maier Lost and Found” and exhibition of work by the reclusive photographer. When I arrived home I did a quick Google search and found everything I needed to know. 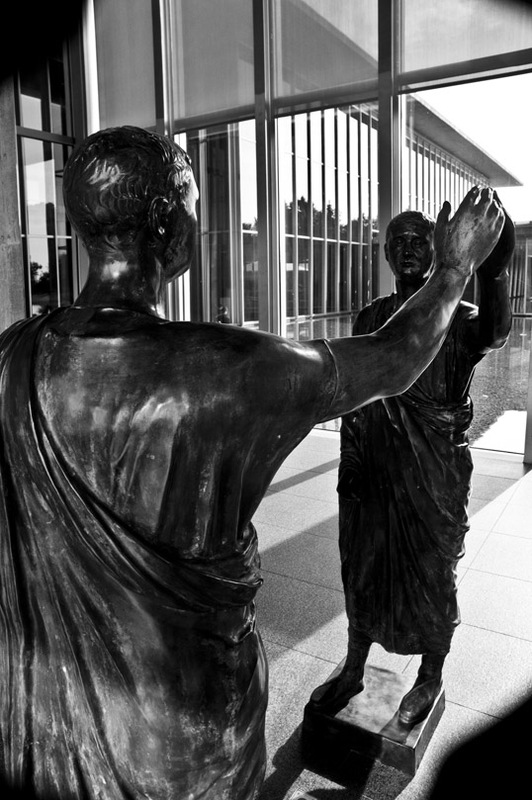 I hadn’t even been aware that there was an Arlington Museum of Art. But it was easy to find, right in the middle of Arlington, which is right in the middle of the Metroplex. I was amped. Things were really busy, so I didn’t go right away. The show ran all summer, so I wasn’t in much of a hurry. But, time flies, and my warning note in my Bullet Journal (Vivian Maier Exhibit Ends Soon!) reminded me that I needed to go. Luckily, I had some vacation time that I had to take so I put in for a Friday off and made plans for the solo drive to Arlington. It’s a long way. There are giant elevated Texas concrete toll-roads that crisscross the ancient prairie like slashes from a celestial scimitar and I used my friends at Google Maps to maneuver through this unhuman maze without any real difficulty. Summer storms roiled and rolled by, windy, raining and thundering, but not able to significantly slow the stream of metal meat-cases plying the roads. When I entered, a guy took my ticket and started to explain the exhibit. 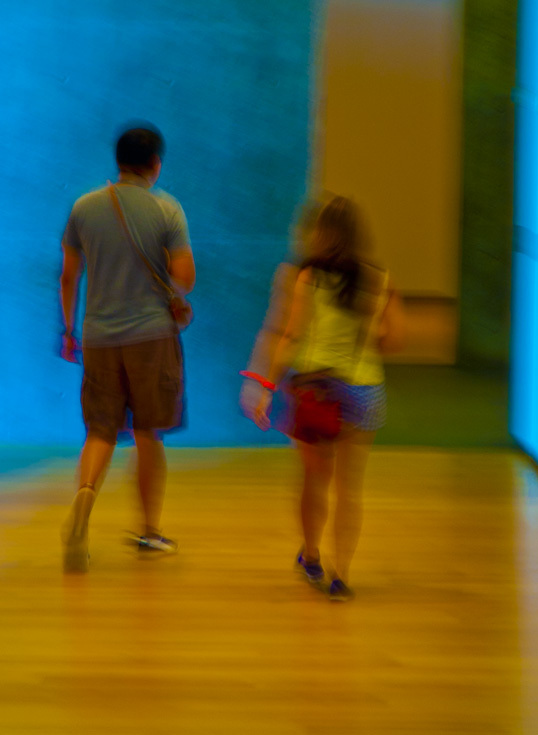 “But I know you’re excited,” he said, looking at me shifting from foot to foot, “So I’ll let you go look and not waste your time. Come back and ask me any questions.” Actually, I had to pee, but I appreciated his skills at observations. It was really cool. Not overly large – fifty works in total. 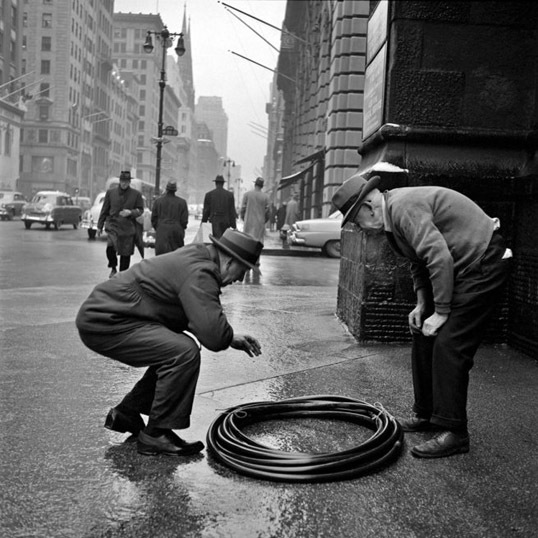 I was familiar with Vivian Maier, of course, but seeing the photos in professional quality gelatin prints, matted there on the well-lit walls… that is a thrill compared to staring at humble pixels on a laptop screen. I decided that my favorite was this shot of two men staring at a coil of something in the rain. It seems to tell a story. Then I asked the guy that took my ticket what his favorite was. 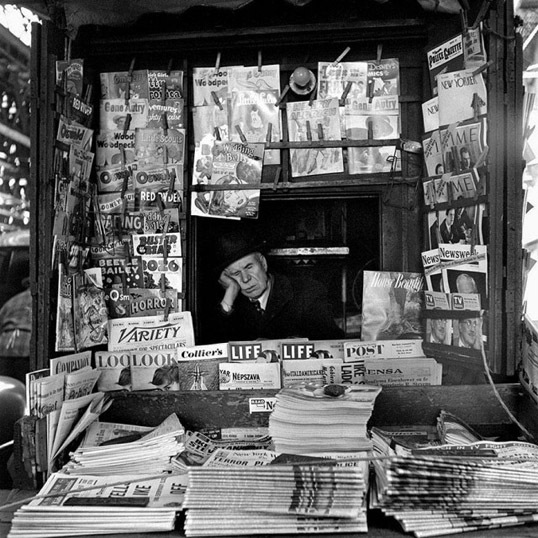 There is this amazing shot of a man in a newsstand. I especially like how the titles on his wares illustrate the times. 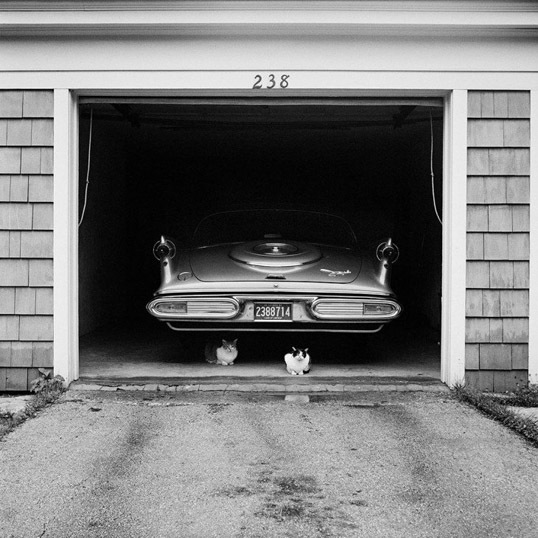 And he liked (as did I) this mysterious shot of a winged car and some cats. It’s a spaceship guarded by two felines. A cool afternoon, well worth the drive. 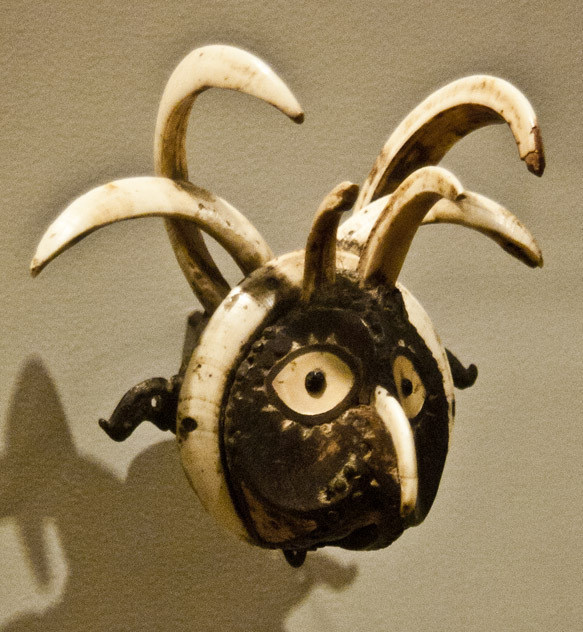 I’m a little ashamed that I knew nothing of the Arlington Museum of Art – the new show there looks really cool. 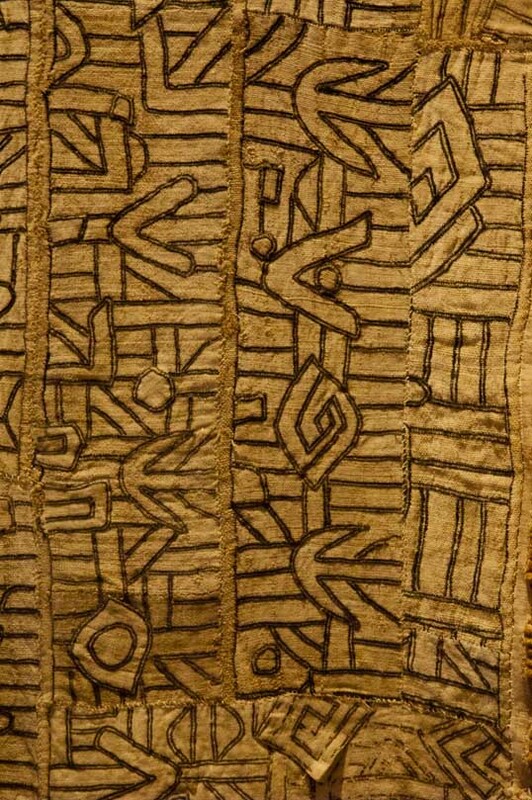 It’s an exhibition of local artists called Ulterior Motifs. I think I’m going to be making that long drive again.